Update – Tuesday, 2:00 PM – Dean Comunal remains in Geisinger Medical Center in Danville, Pa. where doctors and other medical professionals continue to monitor his internal injuries and help him manage pain. The hospital says Comunal is in stable condition. He has undergone surgeries and could potentially require more. A spokesperson says he still has a tough battle ahead but is in great spirits considering his condition. 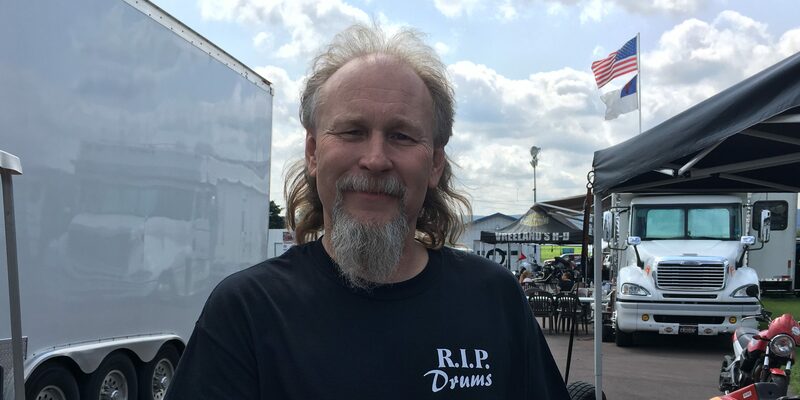 A spokesperson for Pocono Mountain Harley-Davidson says doctors were concerned about potential damage to Comunal’s liver and kidney and have put him through a battery of tests and examinations. We will provide further information when it becomes available. Please keep the prayers going for Dean. 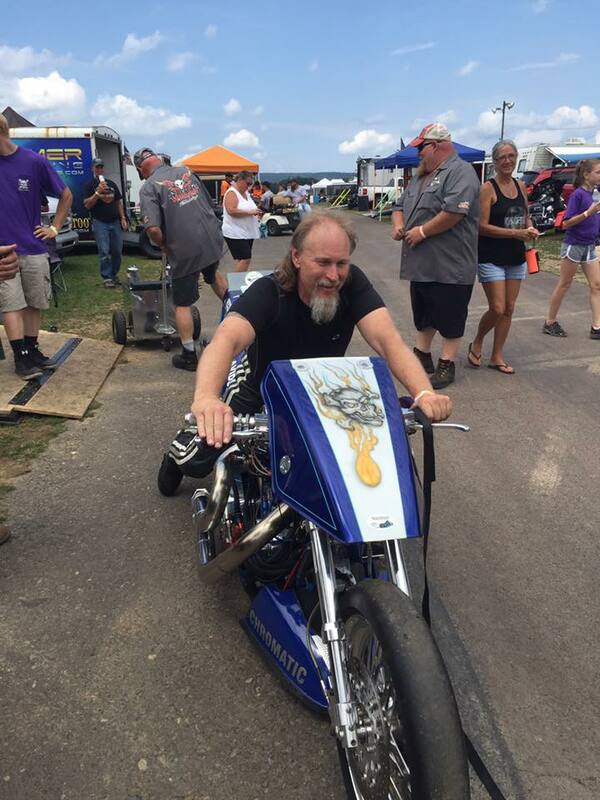 On Sunday, August 20th Nitro Harley racer Dean Comunal was seriously injured at the AMRA Vreeland’s Harley-Davidson Northeast Nitro Nationals at Numidia Dragway in Catawissa, Pa.
Comunal was debuting a brand new motorcycle for the Pocono Mountain Harley-Davidson team. 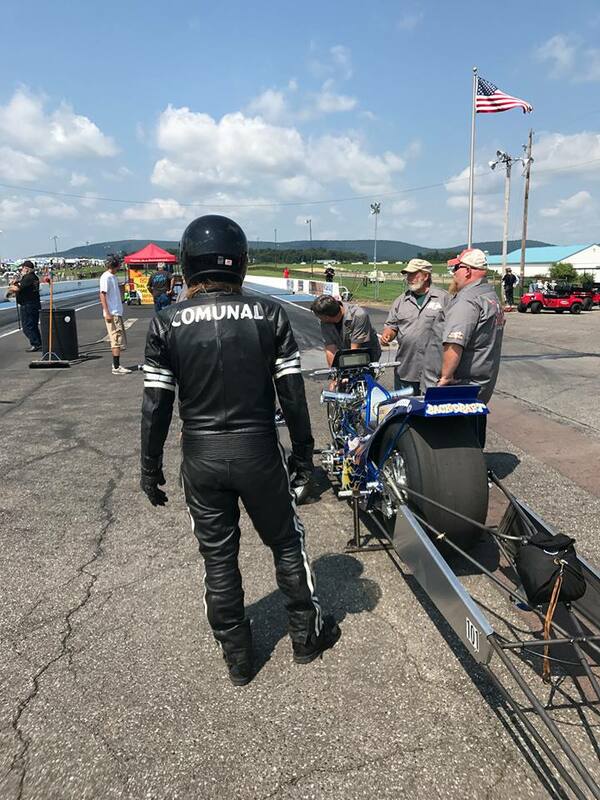 According to witnesses, in the second round of eliminations, somewhere around the 330′-foot mark, Comunal blasted off a cylinder, which cracked the backbone of his motorcycle’s frame. Eventually Comunal fell from his bike and ended up on the racing surface. Some accounts indicate Comunal was knocked out and may have sustained a concussion. Witnesses say Comunal was alert and responsive as medics transported him to the hospital. Communal was said to be in a lot of pain and his injuries are considered serious. Friends say doctors were concerned about a potentially bruised kidney. Comunal underwent exploratory surgery late Sunday night. There is no update on his condition at this time. Please check back, more information will be posted as it becomes available. The accident occurred at about 3:30 PM as Comunal, in the left lane, was racing Dennis Fisher. Please join Cycledrag.com in prayer and well wishes for a full recovery for Comunal. 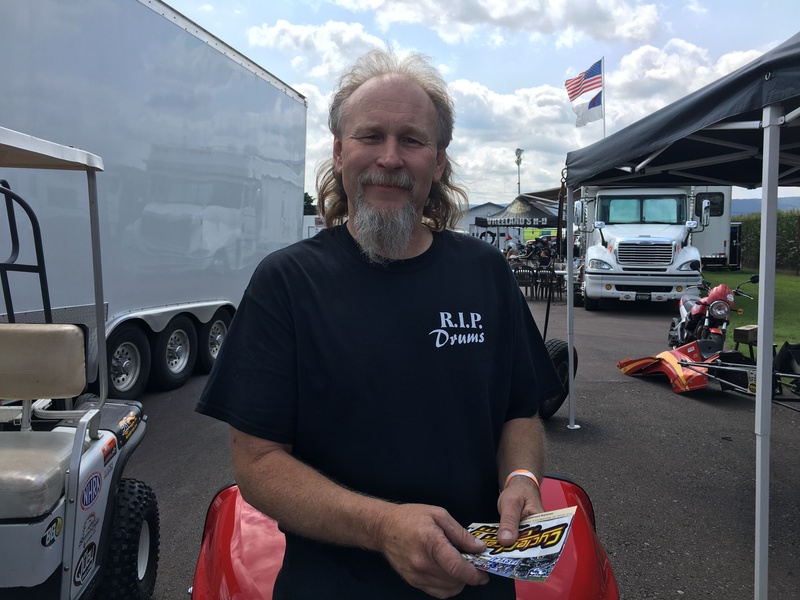 “It was a pretty big explosion and we are all praying he will be ok,” Nitro Harley racer and friend Rich Vreeland said. Prior to the crash Cycledrag.com conducted this interview with Comunal where he pays tribute to his late friend Larry “Drums” Brancaccio, who the event was dedicated to.